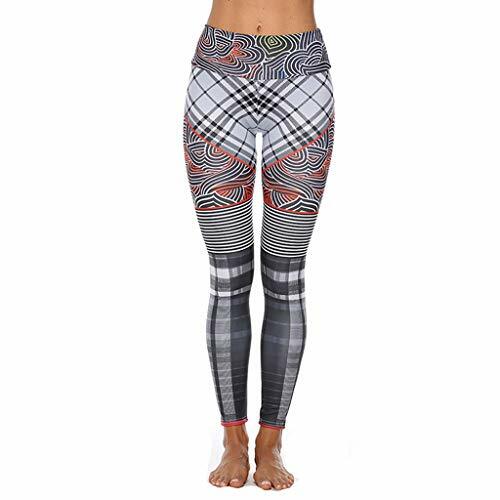 Traditional style, low-rise pant finished with tapered leg pattern and elastic leg openings. TEK-KNIT, 100% polyester, is a highly abrasion resistant, 14 oz. 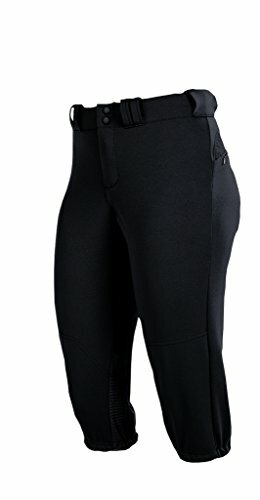 pro-weight fabric that is constructed to allow four-way stretch. Whether in the midst of the action, or supporting from the side-lines, the right uniforms and apparel are a must when showing your team spirit. Whatever you need, make Wilson your go-to on game day. 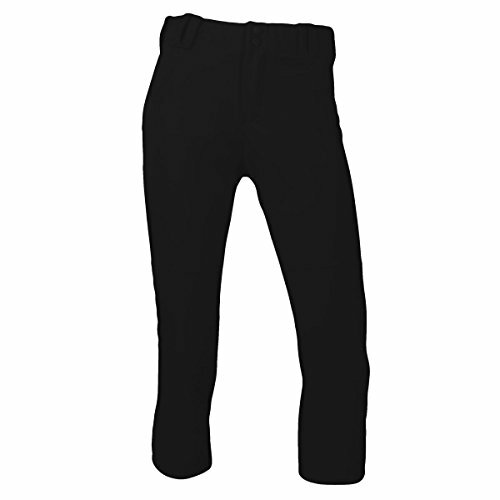 The Low Rise Knicker Length Pant is constructed of 100% polyester double knit. It features a low rise waist to sit 2" below the natural waist, an elastic wasitband with shaped belt loops, two single welt rear pockets, two snap closure with brass zipper, double knees extending to bottom opening, elastic hemmed leg opening, and "R Russell" logo on back left hip. Please note that inseam length is designed to hit under the knee. Fiber content:100% Stretch polyester double knit. Double knees. Two snap closure with brass zipper. Open bottom pant hemmed leg opening. 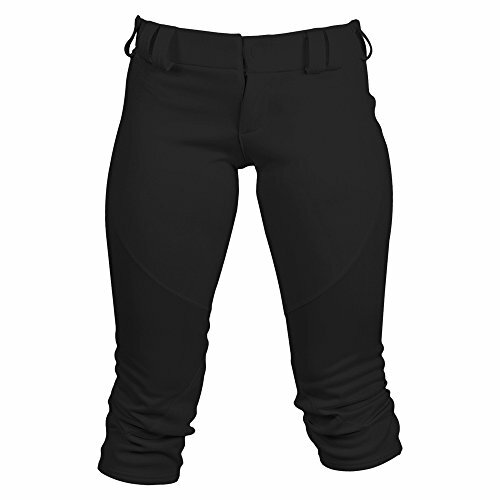 The Pro Elite Fast pitch Pant by Intensity is a Low Rise pant made specifically to fit the female form. Heavyweight premium microfiber fabric has wicking and soil release properties. Double knee to the bottom construction, 7 pro tunnel loops, YKK Brass zipper, 2 scratch resistant snaps, 1 back right welt pocket. All seams are cover stitched for added strength. Traditional elastic hem. 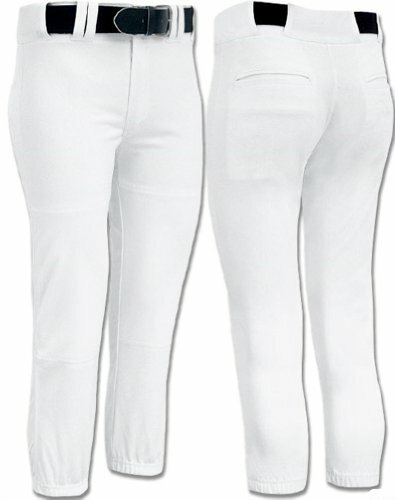 This premium low rise Belted pant features a new 150 Cloth with 2-way stretch 100% polyester circular knit. 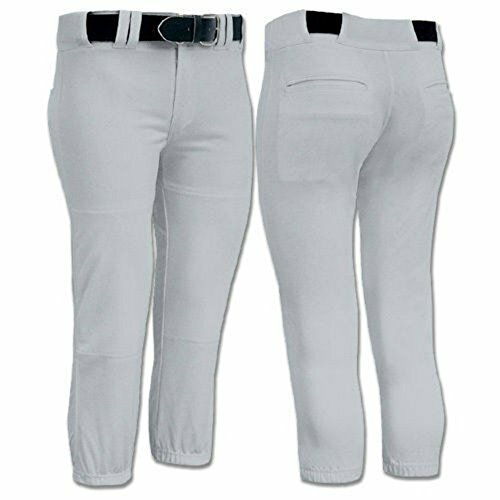 This pant has all of the Pro style features that you need in the gripper elastic waistband, flat-lock stitching, and pocket tie-downs. 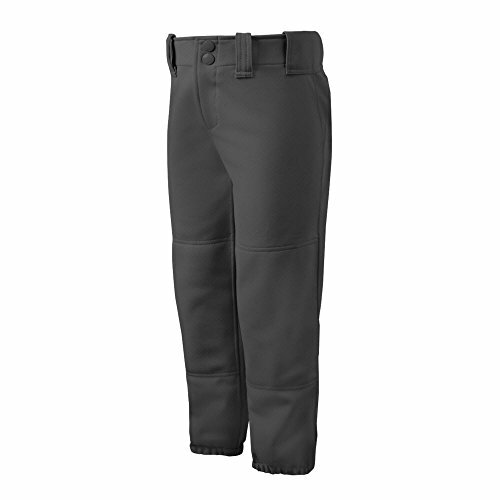 The zipper fly front and 2 set-in back pockets make this a professional looking pant. 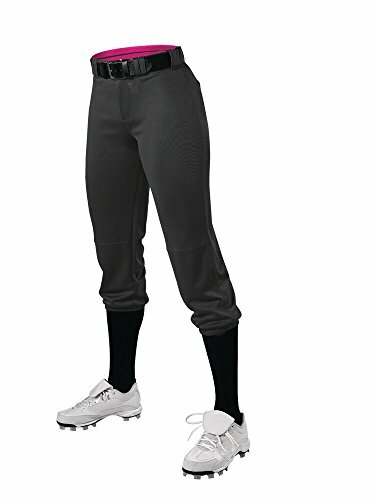 Dura soft stretch knit Women's speed softball and fast pitch game pant. Soft reel, flexible, breathable and durable. 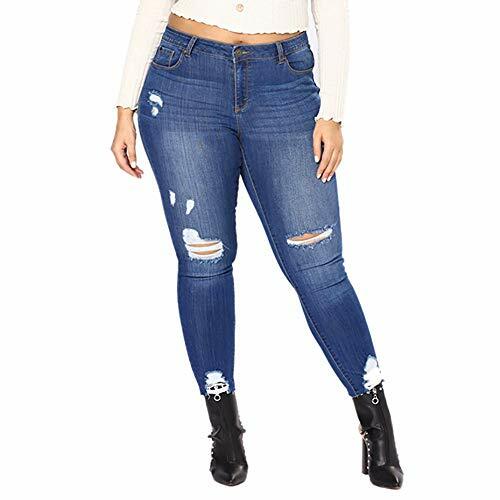 Low rise Women's cut with mid-calf length. Seven Pro-Style belt loops. Soft hand Raspberry Pink 2" flat knitted exposed inner elastic with 1/4" Charcoal silicone gripper for a perfect fit. Look good, play even better. 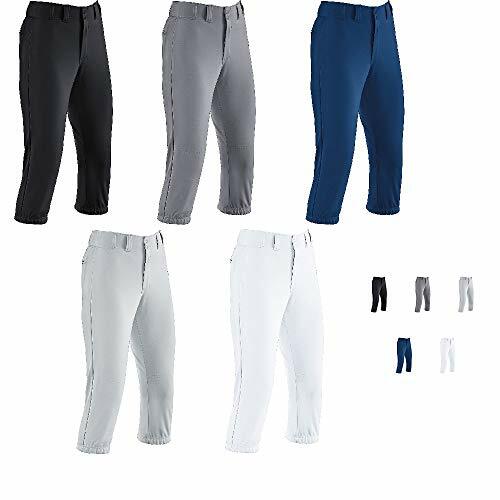 Let Easton's technology improve your game as the entire women's line of pants are made with 100% polyester/ microfiber technology and have Bio-Dri fabric that effectively wicks away moisture to keep you cooler, drier and lighter. All styles are also fitted with the pro ribbed, low-rise elastic waistband with sewn- down set-in back pockets. 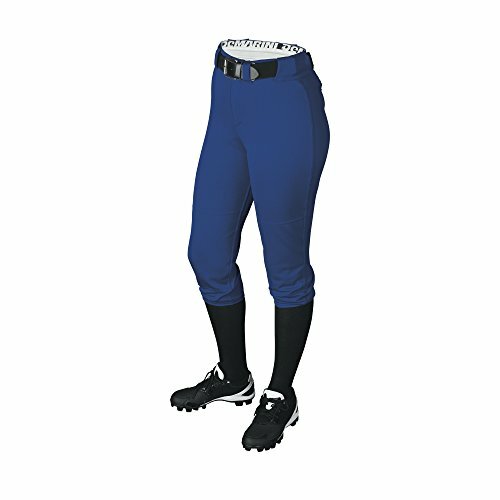 Quintessential Womens Softball/Baseball Pants & Socks (15 Different Colors) Combo. 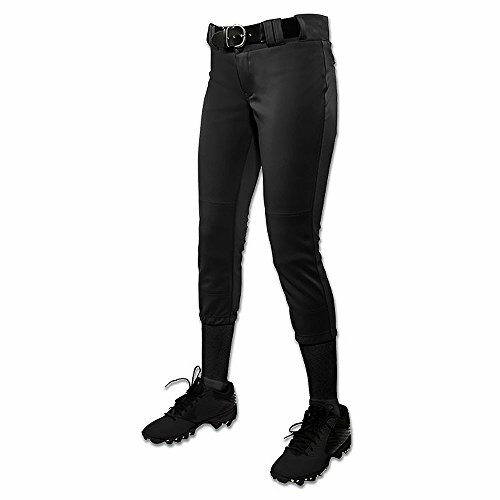 100% Poly Double Knit Pants Double Knit Pants for Performance & Durability. Elastic Waistband, Moisture Wicking, Odor Resistant & Stain Release with Elastic Waistband w/Draw Cord & Brass Zipper Front with 2 Snaps. Socks Ultimate Foot Comfort 60% Poly, 25% Polypro, 10% Spandex Moisture Wicking Fabric with Arch Support. 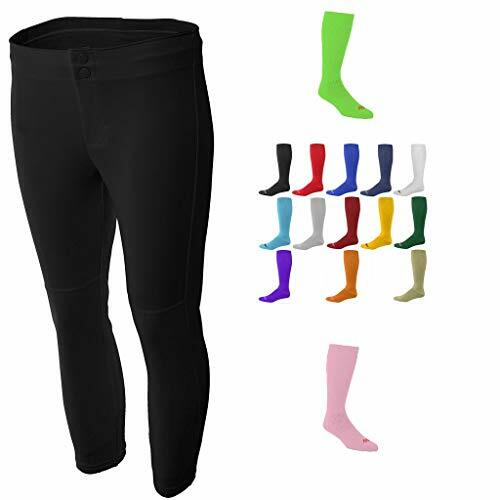 Pant & Sock Combo with Pants & 15 Different Sock Colors in 6 Different Womens Sizes. Quintessential Womens Softball/Baseball Pants & Socks Combo. 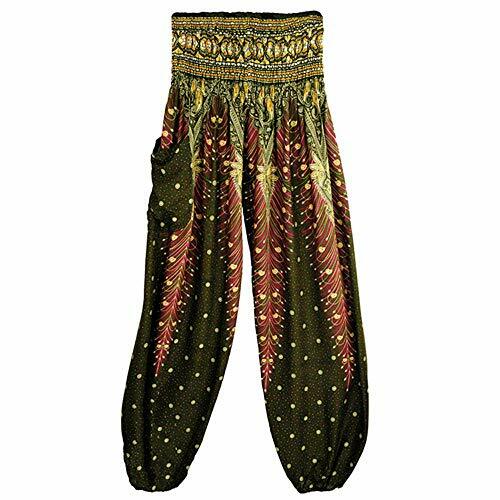 100% Poly Double Knit Pants Double Knit Pants for Performance & Durability. Elastic Waistband, Moisture Wicking, Odor Resistant & Stain Release with Elastic Waistband w/Draw Cord & Brass Zipper Front with 2 Snaps. Socks Ultimate Foot Comfort 60% Poly, 25% Polypro, 10% Spandex Moisture Wicking Fabric with Arch Support. 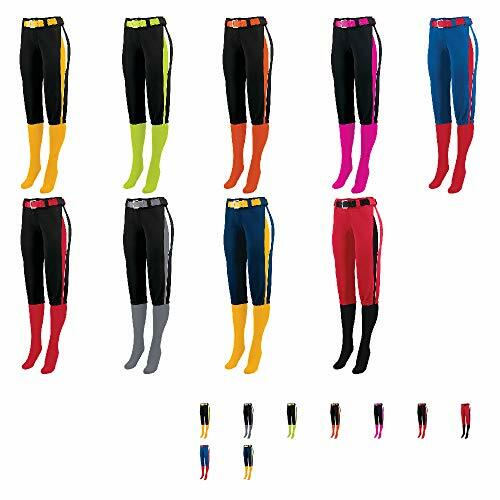 Pant & Sock Combo availabe in 6 Different Pant Colors and 15 Different Sock Colors in 11 Different Womens & Women's Sizes. 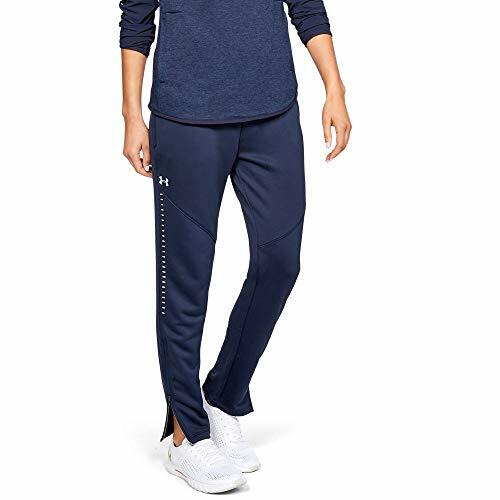 Elevate your level of play in addition to your on-field style this season as you gear up in the adidas Women's Knit Softball Pants. 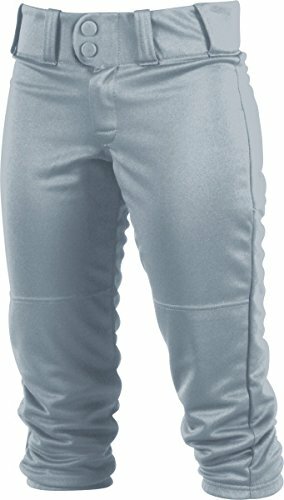 Constructed with lightweight climalite fabric elite players demand, these pants utilize Soil Release technology that helps resist stains and improves durability for long lasting wear.